This year’s Omega proposition combines classic design with modern materials used in the caliber. Let us see how it looks on the wrist and works in everyday use. During the Baselworld 2015 fair, Omega has presented almost all of its new timepieces on the first day. Almost – as one of them remained covered. 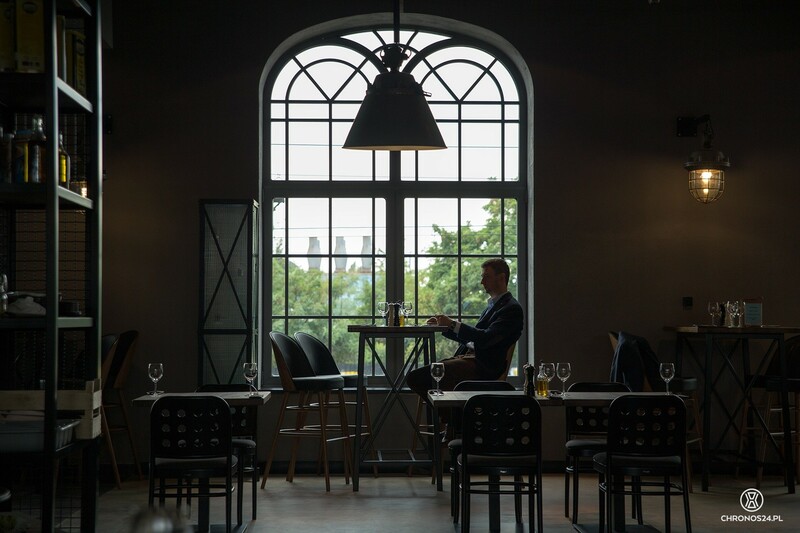 This smart trick has generated a lot of discussion and guessing until that special evening, when the CEO of the brand himself – Mr. Stephen Urquhart has officially and solemnly presented the hidden model. It turned out to be the Globemaster. By its looks it definitely relates to the historical collections but the inside works are most certainly a novelty in the offer of the Swiss manufacturer. We are talking here about the first serial caliber meeting the very rigorous “Master Chronometer” certification standards on top of the COSC requirements. 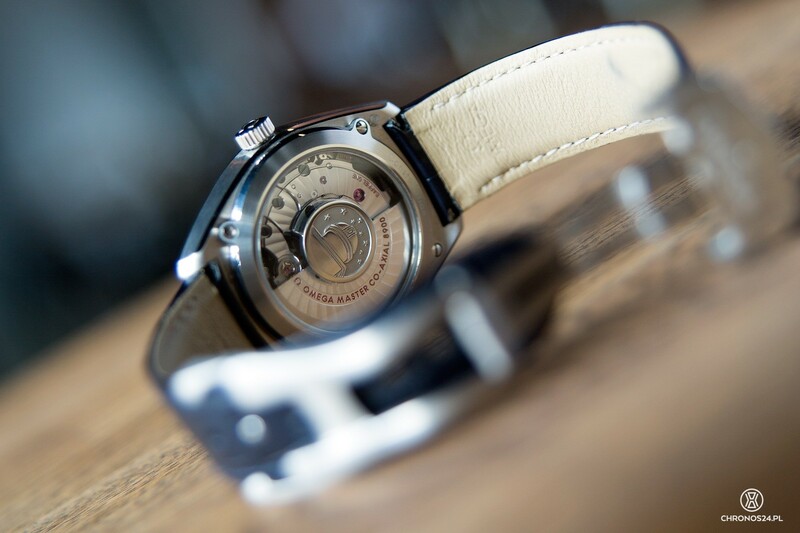 The timepiece is available on leather strap or metal bracelet, with a steel, gold or platinum case. 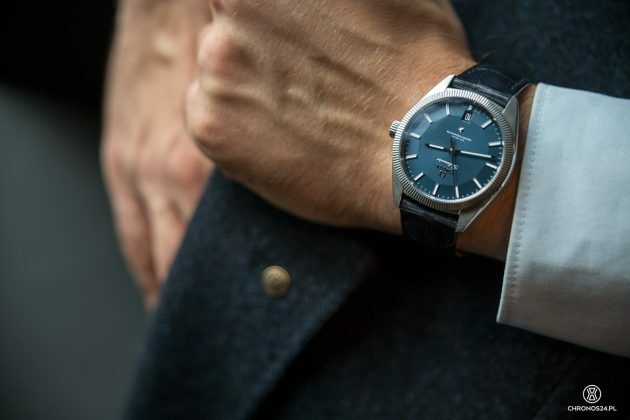 For the need of this review, we have requested the simplest version with a steel case and blue dial. Since the name Constellation appears both on the watch and in its name, where does the Globemaster come from? To explain this, we need to reach back into history and take a short trip to the United States of America. In the first half of the last century, when the Constellation collection made its debut, the name was already in use by another company. This is why the watches were initially sold under the Globemaster logo. 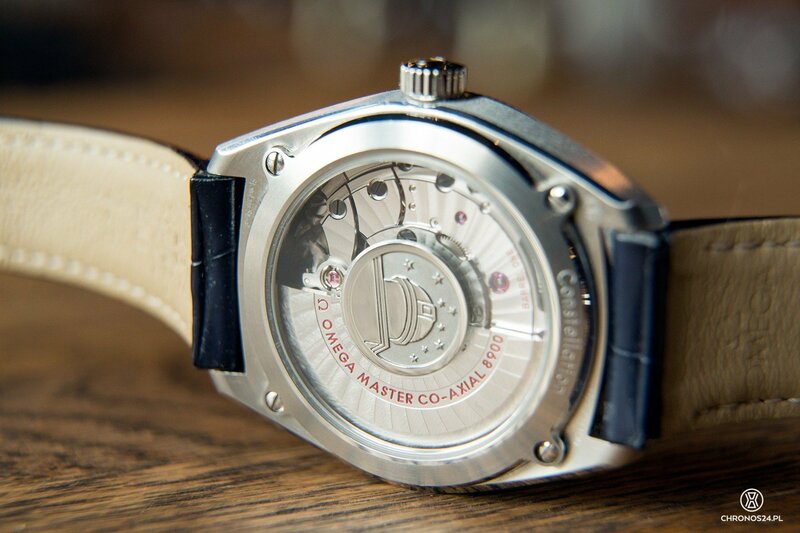 In the new, anno domini 2015 generation, the Globemaster name, written in elegant font found its place on the dial, immediately under the Omega logo application. 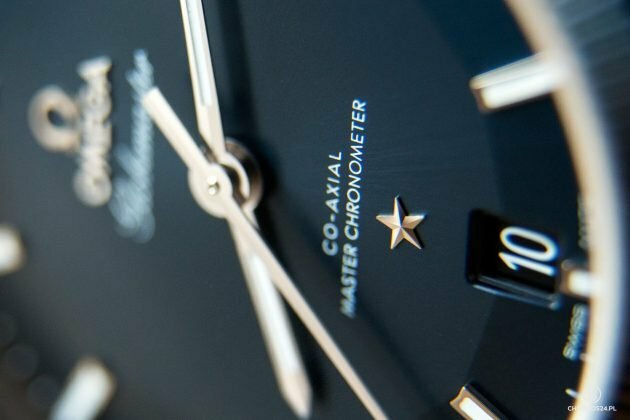 The star – hallmark of the Constellation collection is located in the lower part of the dial. I remember exactly the moment, when the curtains felt and the guests of the premiere presentation saw the Globemaster model. 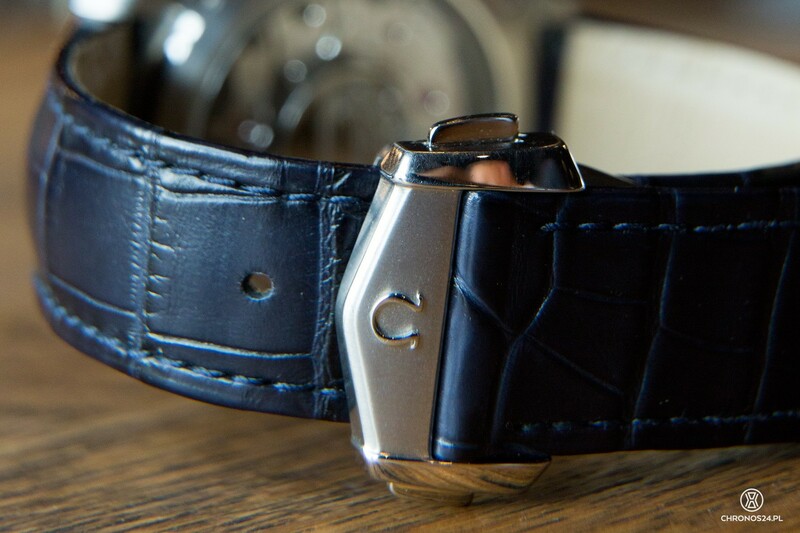 Because of the fluted bezel many compared it to a Rolex. 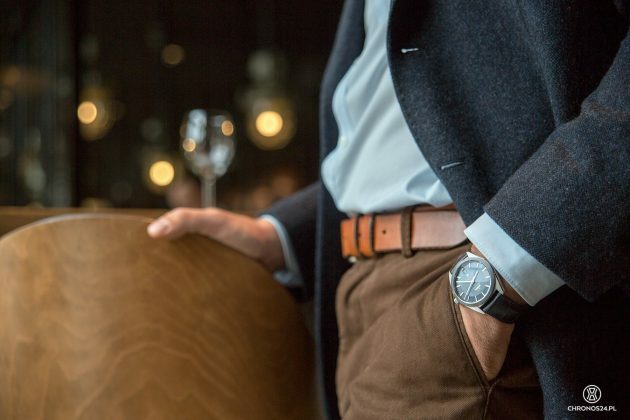 Even though this element is mainly associated with the extremely popular Day-Date and Datejust models, Omega has used it more than once more than 50 years ago. Besides, if you compare it to the competition, you will notice that it looks different (the fluting is denser). To dissipate all possible doubts, it could have been slightly narrower – I have even mentioned it in my interview with Stephen Urquhart. One way or another, this element is not much “exploited” by the brand, it is not a novelty – just a part of Omega’s history. In this particular case, it has been made of the very hard and resistant tungsten carbide. Under the sapphire glass you see another element worth a longer and closer look – the dial. The one used in the Globemaster collection is referred to as pie-pan due to its rather special finish. The central, uniform section is surrounded by a dodecagonal inclined ring, with hour indexes applied along the edge. Notice a small detail, the inner ends of the indexes have a triangular incision – perfect match with the tops of the dial’s polygon. Those small but tasty details can make the general perception of the timepiece positive. 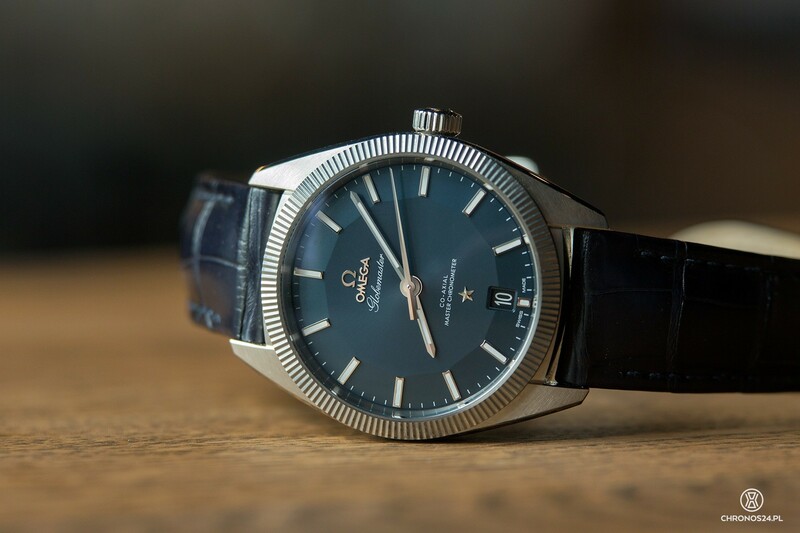 Coming back to the indexes – taking a closer look at this watch and having tracked a few historical models I started pondering why didn’t Omega use the shape of a triangle, with the tops matching subsequent “bends” of the dial? Such a design could have a more elegant look. Then I came to the conclusion that the shape used by the designers is an ideal match to the simple, central hands (two of them have narrow strips of Super-LumiNova), giving the face of the watch a slightly sporty personality. 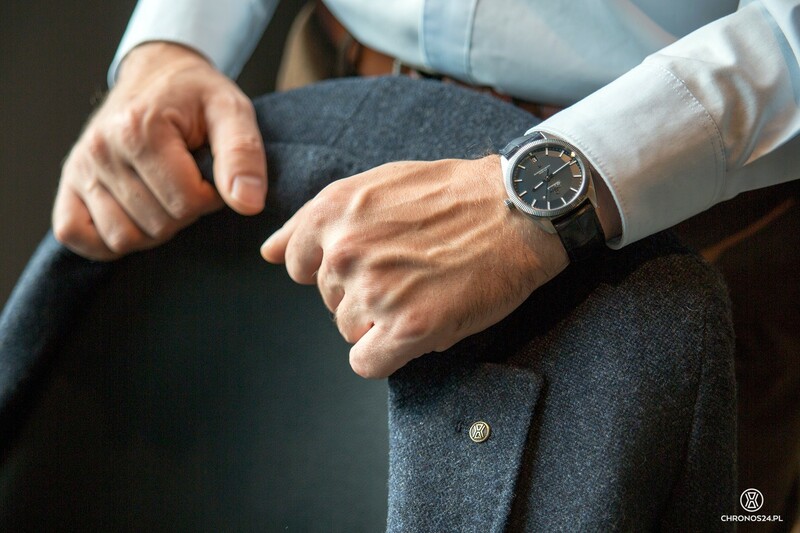 Adding all the pieces together, we obtain a proposition that works very well as an everyday watch but also a suit watch with a touch of the wild. The case is 39mm in diameter. 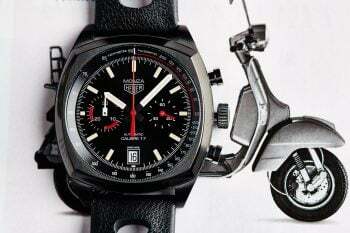 It does not seem much but thanks to its shape, the bezel and dial design, the watch looks bigger than it is. 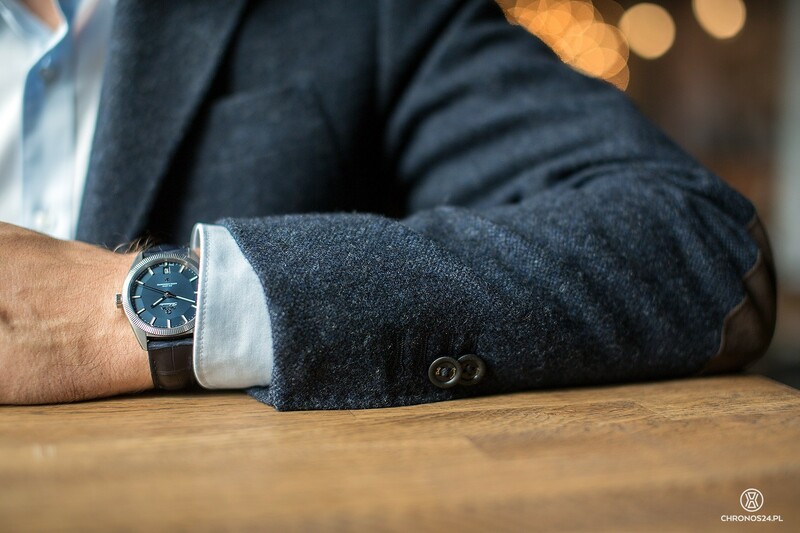 I like watches that need to be worn for a longer while to notice some of the small details and aspects. In this case it is the classic shape of the case, combined with the brushed finish, which gave the watch a very raw and serious personality. This contradiction confirms that this apparently conservative timepiece is hiding something that does not allow referring to it as boring. The looks are just the looks, the most important is hiding inside the case. 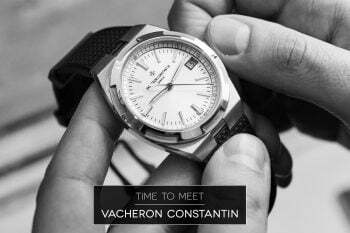 I am talking about the 8900 caliber – the first serial caliber to be delivered with a COSC chronometer certificate and an additional document certifying even more rigorous requirements concerning, among other things, accuracy – the „Master Chronometer” certificate issued by the Swiss METAS institute. Any watchmaker may apply for such a certificate but so far Omega is the only one doing it, mainly because of the highly restrictive standards. Positive completion of the certification requires fulfillment of 8 criteria. The operation of the caliber is verified in six positions, measuring deviations in the 0 to 2/3 of the power reserve range, work in a magnetic field of > 15.000 gauss, functioning of the entire watch under exposure to a magnetic field of > 15.000 gauss, average daily deviation in wrist imitation tests (six positions, two temperatures), water tightness (tests in water) and power reserve (duration of operation without rewinding the spring). 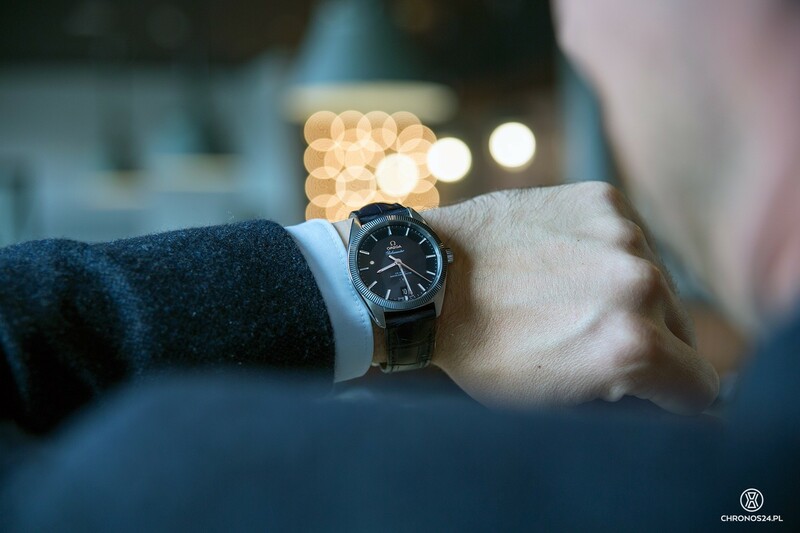 The above-mentioned 8 criteria are much more restrictive than the COSC standards and have been reflected on the case back of the watch. A beautiful medallion has been added in the central part of the back, representing the observatory once used for watch testing and the eight stars. I must admit, that this fine detail, being part of the sapphire glass was one of the things that really caught my eye. 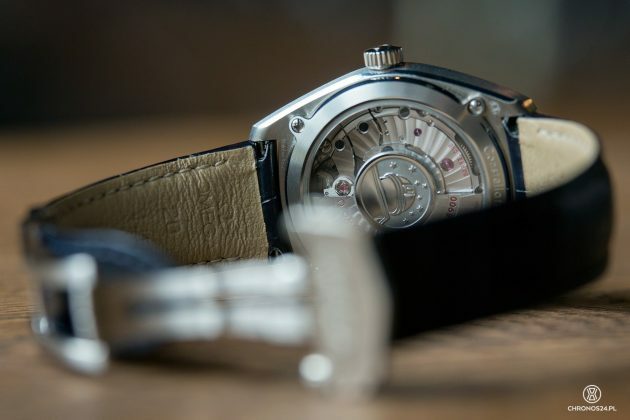 The whole case back is fitted with 4 screws in a way that would make you think of more sports-oriented watches. The 8900 caliber has two serial spring barrels guaranteeing a total of 60 h power reserve. So, what is this special feature of the caliber that made me refer to it as one of the most modern ones? Besides the Co-Axial escapement we have already described many times, it is about the materials used in making the mechanism. Thanks to them, Globemaster can resist huge magnetic fields, exceeding 15.000 Gauss. For comparison, a magnet in a woman’s handbag is approximately 50 Gauss. 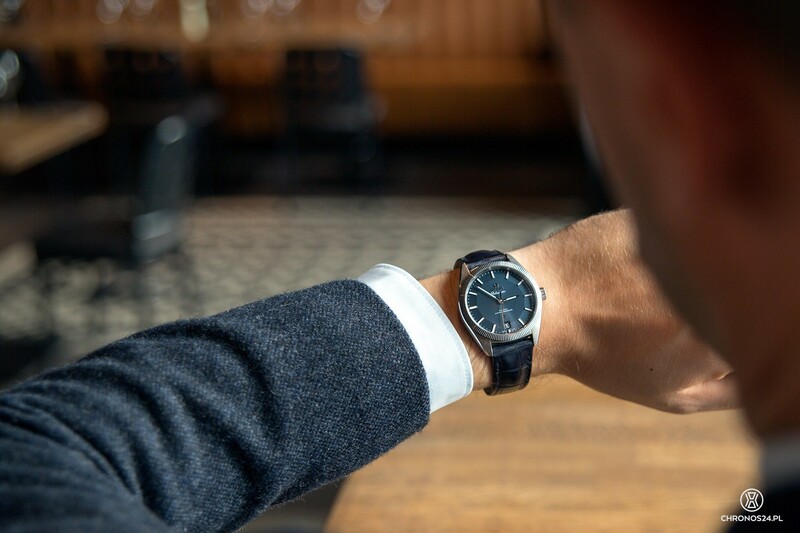 With the average watch, such a small magnet (handbag or notebook lock) is strong enough to stop or even damage a caliber (after longer exposure). 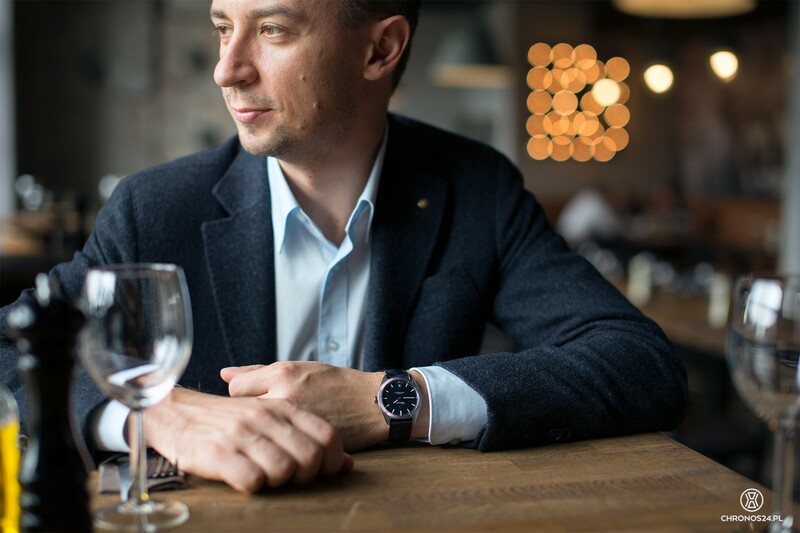 In the era of omnipresent electronics (phone and tablet cases), watches are often exposed to magnetic fields, which is becoming a real problem. In order to achieve the desired resistance, Omega used, among other things, a silicon spring and antimagnetic alloy components (such as balance wheel and screws). The scale and speed of innovations introduced by the manufacturer from Biel to its calibers is unmatched. Just recently the Master Co-Axial calibers appeared on the market and only a few years later comes the era of the Master Chronometer (MC). In the interview given to CH24.PL, Stephen Urquhart has underlined that soon, this caliber will be used in almost all watches of the brand. Almost, since Omega is not planning to use the MC caliber in the Moonwatch collection (this would require additional testing by NASA). The company is still working on an adequate solution for the chronograph caliber, which turns out to be quite complicated. Earlier in this review, I have briefly mentioned the origins of the name. Globemaster may be a reference to the hour hand which can be adjusted by +/- 1h increments with the crown pulled out to position 1. This solution is very convenient for frequent travelers. 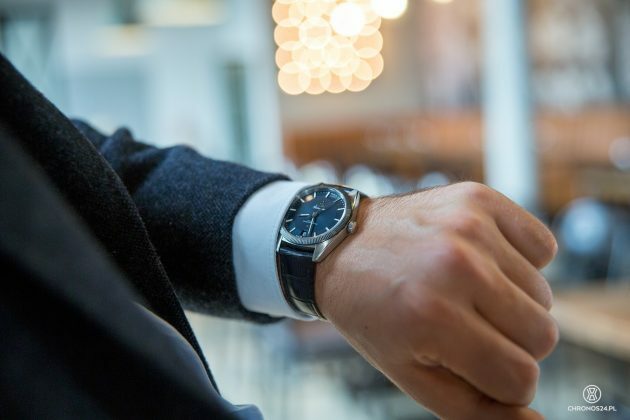 It gets a little bit worse when we want to set the date after a longer break – we are condemned to tedious turning of the hour hand until reaching the date desired but on the other hand, we have to admit it, this is not something we do often. If you travel a lot, easy changing of hours will make your life easier, especially since moving of the hour hand does not affect the seconds. 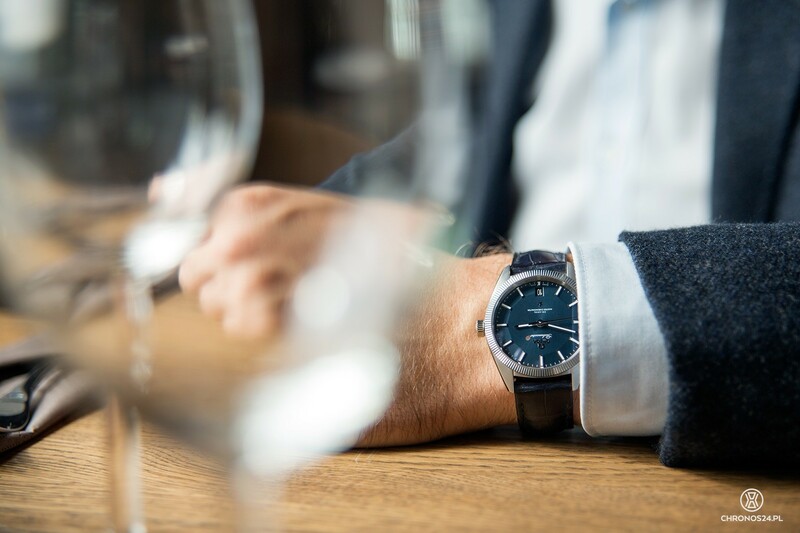 Numerous meetings and discussions with watch aficionados confirmed my initial opinion that it is hard to find people, who like all the time pieces manufactured by Omega. Some people prefer the sporty models of the Planet Ocean or Moonwatch collections, other prefer the more conservative Aqua Terra series. I belong to the Seamaster fan club (Planet Ocean was my first Omega watch) and I will stick to this choice. How would I classify the Globemaster? In the reviewed version it is definitely an „everyday watch”. 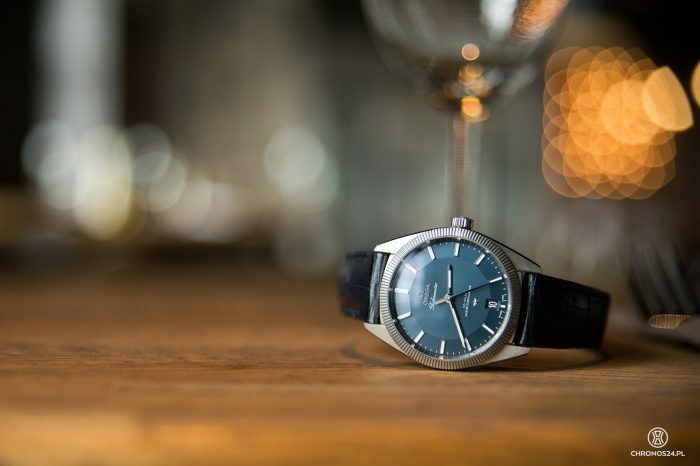 A classic case has been combined with elements giving it a slightly sporty touch (brushed finish, shape of indexes and hands). Such a hybrid may please people, who wear jackets or suits every day. The pie-pan dial makes reference to the history of Omega and the Constellation line and the blue-grayish color is so unique and special! After a day of wearing the watch, when putting it away I always looked at the medallion inserted in the case back. It is a small detail but still a nice piece of eye candy. The caliber itself is not only the ornaments (which I do not particularly appreciate aesthetically) but first of all the materials, giving it unusual resistance to magnetic fields. By the way, many manufacturers (such as for example IWC) have tried to face the challenge of magnetic fields in the past but finally, resistance of their selected watches is more than two-fold lower than the Omega. 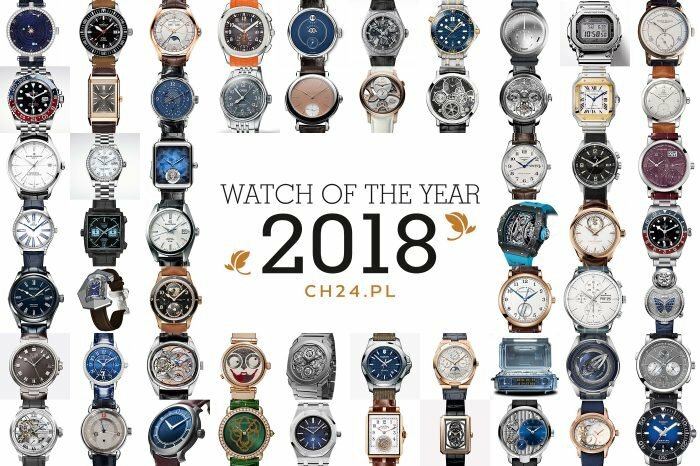 Watch provided for testing by Swatch Group Polska. We also thank “Sztolnia. Chleb, Mięso, Wino” for help in photo session.